More than three decades after it was founded in 1980, United Forms | Tennessee Scaffolding remains a family-owned business. Based in Memphis, Tenn., the company offers scaffolding, concrete formwork and shoring services and rentals for general contractors, as well as some industrial clients. With more than 30 employees, the firm serves customers in Alabama, Arkansas, Mississippi and Tennessee. Founder Steve Harrison is still in the driver’s seat as president and CEO, and his son Sean Harrison follows in his footsteps as Chief Administrative Officer. 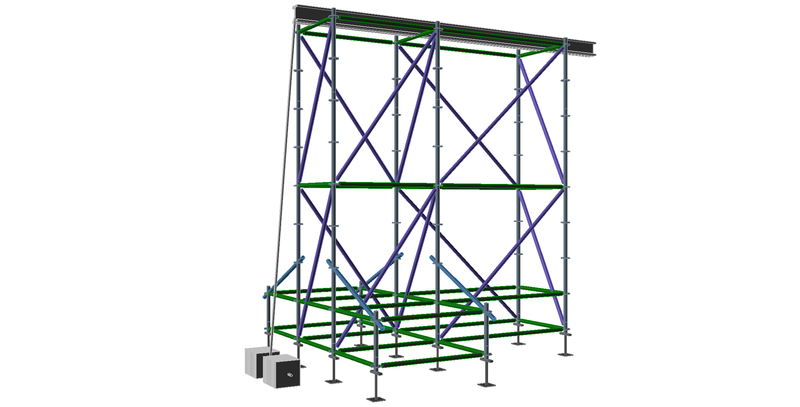 For many years, the company relied on a specialist using AutoCAD software to design scaffolding. Employees also used old-fashioned pen and paper to sketch out structures. Without a professional-looking design, it was tough to stand out from competitors when bidding on projects. Without an exact list of required materials, budgeting involved guesswork and customers were more likely to bicker with cost estimates. Plus, it was difficult to ensure that customers were on the same page when discussing what projects would look like. If changes emerged later on, that meant lost time and money. “When you’re bidding a job and you’re talking to your customer in theory about what you’re going to do, it’s different than showing them what you’re actually going to do with a drawing,” Harrison says. Coming up with the equipment list for each job required estimators to painstakingly count each piece manually. “When you’re looking at a drawing on a piece of paper, it takes forever to count each one by hand,” Harrison says. To stand out and improve cost-effectiveness, Tennessee Scaffolding needed a way to speed up its operations and distinguish its presentation from that of competitors. After using other Avontus Software products for more than a decade, Harrison adopted Scaffold Designer in late 2015. He says learning to use the software was simple, even though he didn’t have specialized technical skills and couldn’t operate programs like AutoCAD. “With Scaffold Designer, the only skill you need is imagination,” he says. 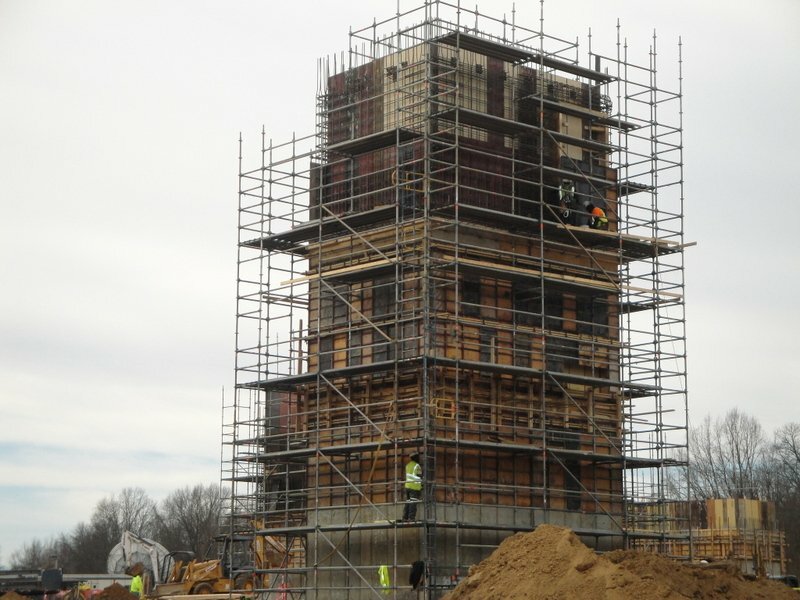 Using visuals from Scaffold Designer has helped Tennessee Scaffolding win projects. “When you show a customer a full set of drawings that are 3D, compared to a sketch on a piece of paper, it helps sell the job and get them excited about what they’re paying for,” Harrison says. The software has also cut down on costly delays by helping customers visualize the specific structures to be built. “When you’re talking to a customer in theory about what you’re going to do, it’s different than showing them. Scaffold Designer helps everyone be on the same page and gives you a chance to make changes before you’re in the field,” Harrison says. Being able to instantly produce a materials list for projects has helped the company budget more effectively and has sped up deliveries to customers. “It’s made a huge difference. It’s at least cut the time in half — maybe more. You get more production, so you’re getting a better value on your time spent on each job,” Harrison says. While Tennessee Scaffolding usually serves heavy construction jobs — from the University of Memphis dorms to a new convention center and hotel near Graceland — a favorite local job is the annual World Championship Barbecue Cooking Contest in Memphis. Since the mid-1990s, the firm has designed and built temporary dual-level structures to serve as booths for the contestants. As the annual contest has grown, competition has gotten steeper. Showing impressive drawings through Scaffold Designer has helped the company stay ahead of rivals at the festival and beyond.